Is Your Website Mobile-Friendly According to Google? Beginning April 21, 2015, Google will rank mobile-friendly websites higher than others in mobile searches. You will lose website visitors and potential sales if your site fails their standard. To find out if your site needs fixed or redesigned check out the automatic testing tool. Once you test your URL, see what color you got. Green means your site’s good to go for now. Red means you’ve got work to do. There are three mobile configurations Google recognizes. You can choose responsive web design, dynamic URL serving and separate URLs. Mobile responsive design is Google’s recommendation. This configuration makes your site mobile-friendly by using the exact same text, images and code desktop users get. The only difference is the layout. Your website goes from a horizontal orientation to vertical to match up-down scrolling behavior of most smartphone users. This is the truest and best foundation for a mobile-friendly website. Dynamic serving keeps the same URL for all of your pages, but the website detects the user’s device and delivers different code and content designed specifically for that screen. 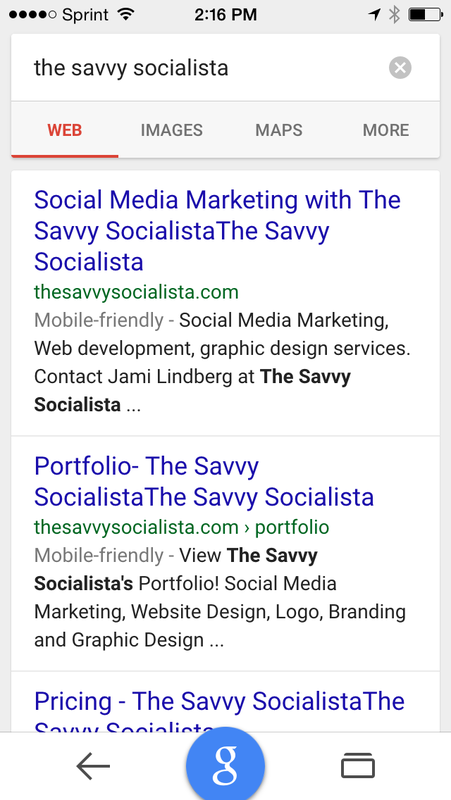 Websites with separate URLs for mobile often use addresses like m.businessname.com. These last two configurations make SEO optimization a mess, makes your content hard to maintain and simply seems outdated. However, mobile-only pages may represent a more cost effective way to get mobile-friendly for some businesses. Choose the mobile configuration that makes sense for you. Mobile responsive design is the best, but it often requires re-designing your website from the ground up. If your budget requires you to settle for one of the other two, you’ll be ok. However, you must budget now to go true mobile responsive as soon as you can with a design that meets Google’s mobile-friendly UX guidelines. Do you have questions about how to make your website mobile-friendly? We can help! Click here.